Ceiling lights are a fantastic way to set the tone and mood of the entire room. Some add an upbeat tone, some add a fun and light hearted tone, and some can even add an underlying tone of class and elegance. 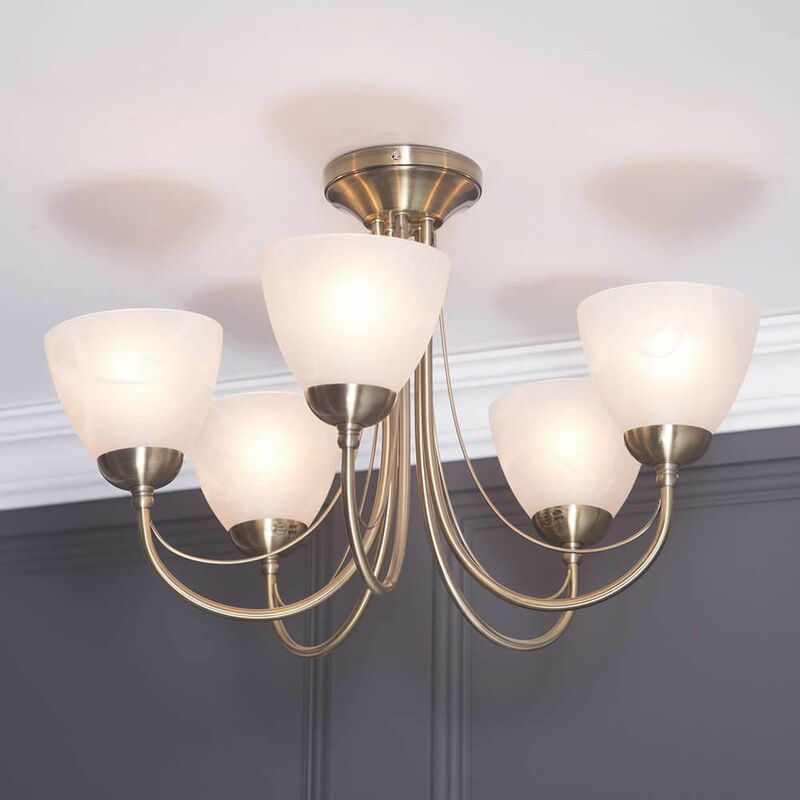 This Barcelona 5 Light Ceiling Light with an antique brass finish is certainly brilliant at the latter, it simply exudes elegance. 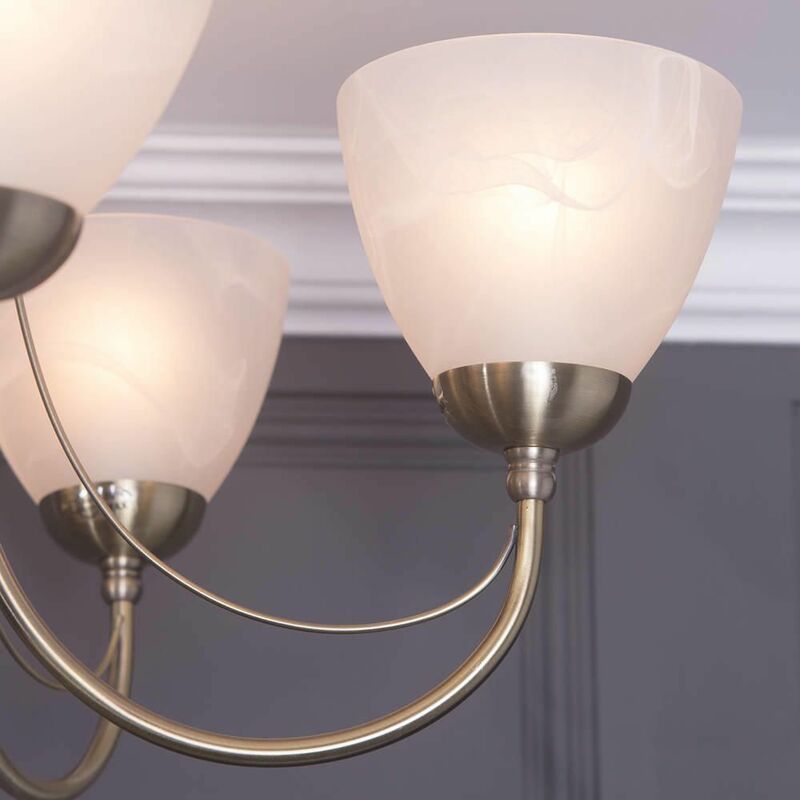 The structure of this lamp is astonishing; the layers of curved metal bars flow beautifully, creating a cascade of luscious curves to reveal the 5 subtle, yet stunning, alabaster glass shades. These shades caress the light in a breath-taking way, adding a soft glow to the light, which creates a calm and soothing atmosphere. To add to the aesthetic features, there is also a huge amount of practicality involved. 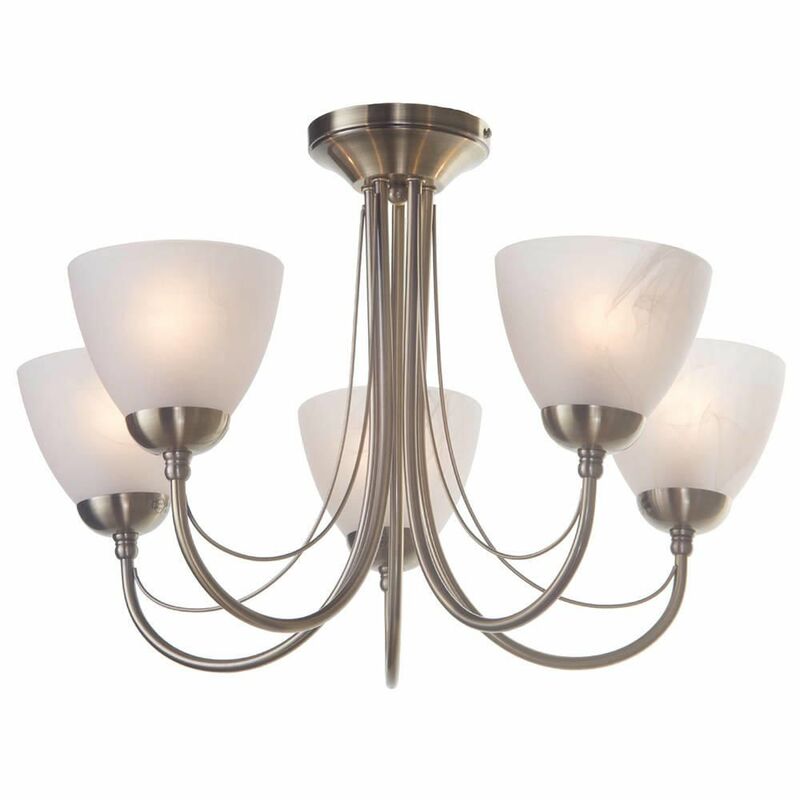 This light fixture comes in a flush/semi-flush style, which keeps the drop height fairly low at just 36cm. 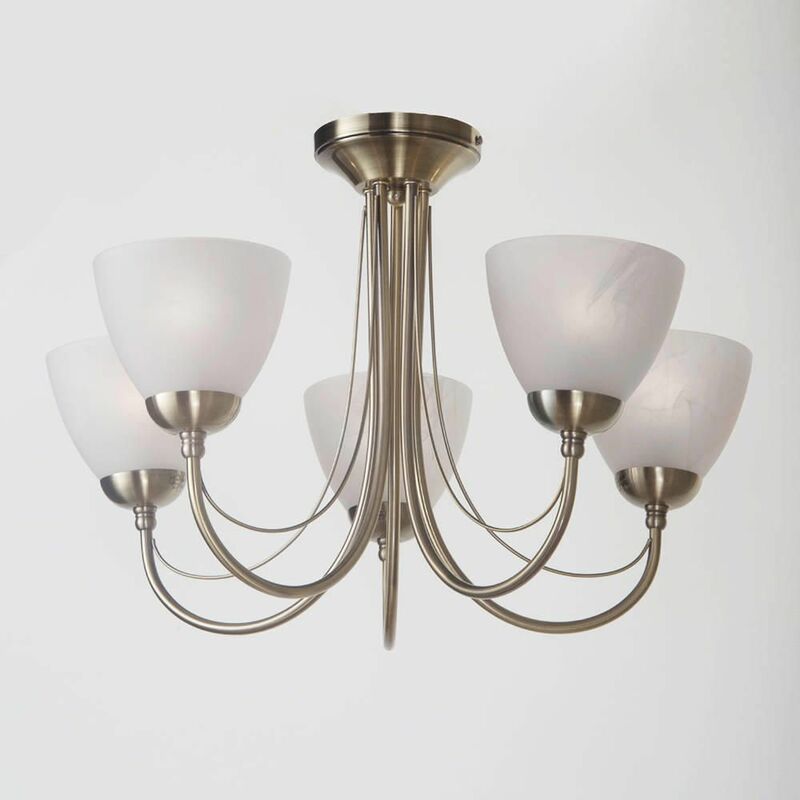 This smaller drop height means it is suitable for use in homes with lower ceilings, where there simply wouldn’t been enough room for a bigger fitting with a large drop height, such as a hanging chandelier. Low drop height makes this fitting perfect for areas with lower ceilings. A: The measurement from the ceiling to the top of the shade is 13cm. 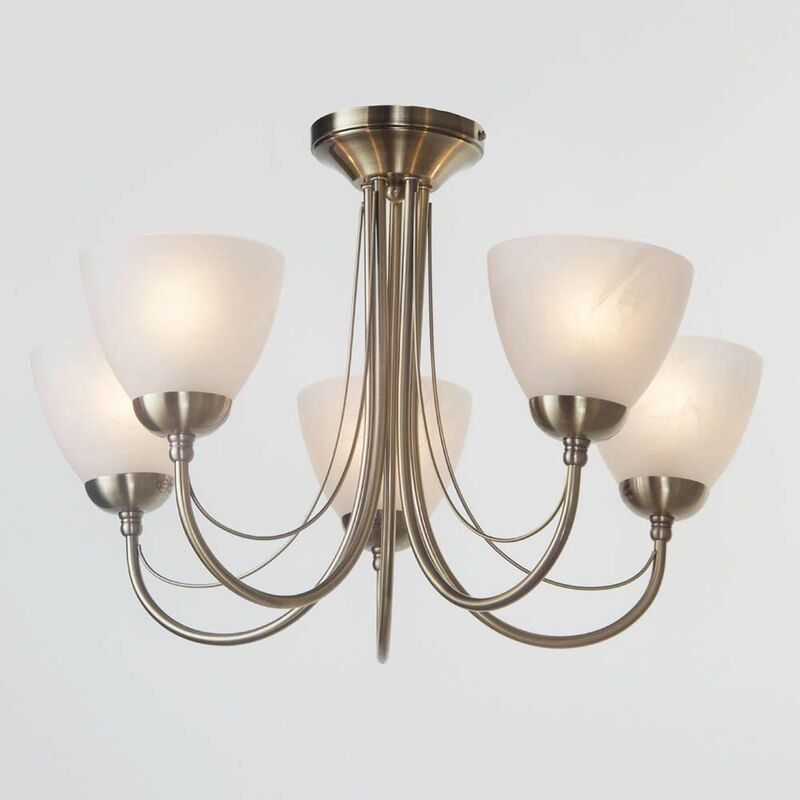 Q: What are the dimensions of the Barcelona 5 light bathroom ceiling chandalier? Does it come in chrome/brushed steel? A: The dimensions for the Barcelona 5 light bathroom ceiling are as follows. Diameter (cm): 44cm Height (cm): 36cm The finish is available in Antique brass or Satin Nickel.